2017 was tremendous fun with this new project. The crew has an open door policy to spark collaboration and creativity; with the foundation upon bringing just enough gear to get by, and imrpov is the core virtue. We had 6 great shows and twice as many studio sessions to get this project rolling. 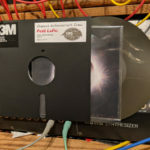 We’re celebrating the Earth’s wobble with four 7” releases packaged in retro 8” floppy diskettes. #1 is a Polynesian party track, on acid. The tracks are free digitally, so it would be pretty damn old-man style lame if we don’t have 5 more downloads before Xmas. Great acid record. Think Recondite style, but not so formulized, and much more chill. Great for Sundays! Contact me for more information on getting this release. Great track! Enjoying the amazing packaging and release over the last month, it’s a late-comer to 2017; get it while you can, ultra-limited. Front covers, both multi-color stenciled artwork!Multicast’s best work to date, included is an amazing little Iron Feather Journal magazine from Japan. Cross-Pacific collaboration. 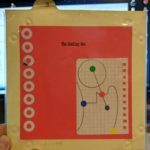 Zine features Multicast’s Phonographic Toys collection, don’t miss it if you are a vinyl freak; there’s some serious history for you waiting! Ambient, Acid, Experimental! Can’t be that bad, we’ve had about 15k views on YouTube. Now on to some other favs of 2017! 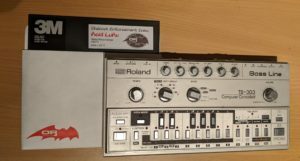 Dopplereffekt’s “Cellular Automata”. Leisure System. Cinematic robot tunes. 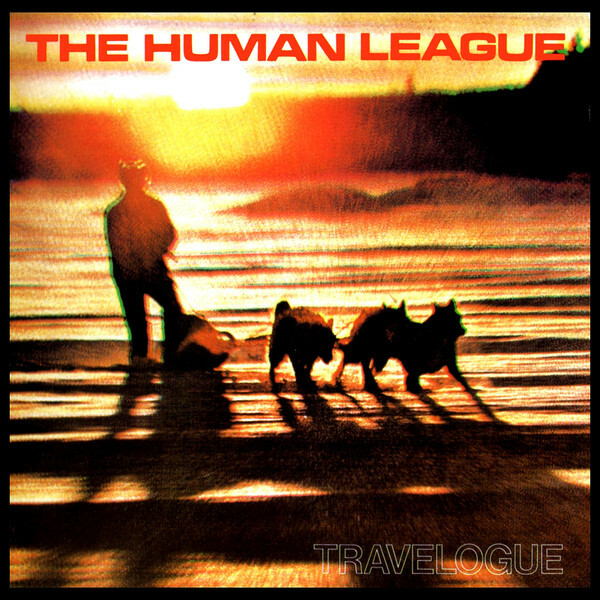 This is an amazing collection of electro, sci-fi, cinematic tunes. Their early Eps all were dancefloor driven; but their albums are more ambient and melodic! Think Blade Runner 2049 caliber sci-fi and you’re on the right track. Raymond Scott’s “THREE WILLOW PARK: Electronic Music from Inner Space, 1961-1971”. Basta. 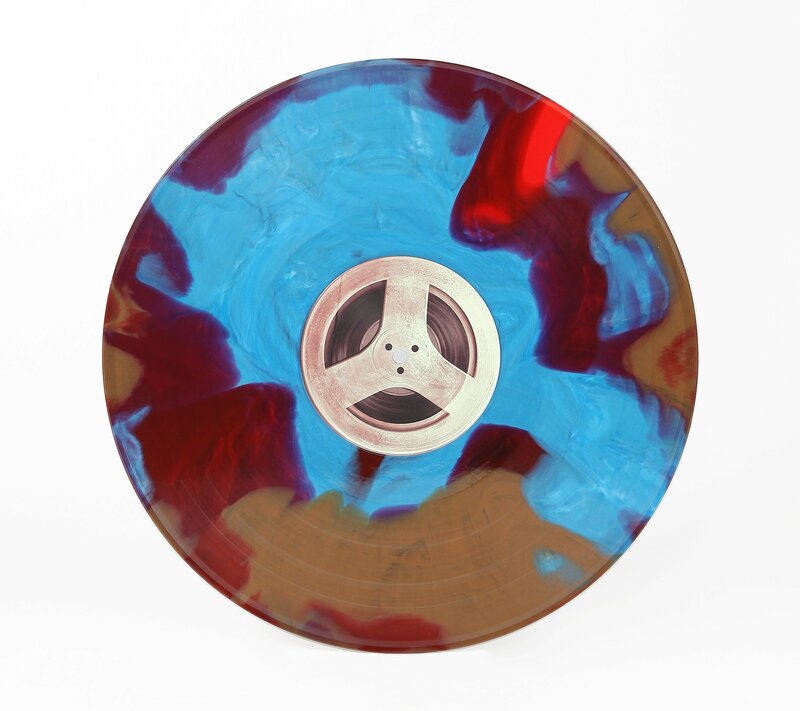 This year brought the re-release of the outstanding “Manhattan Research Inc” on colored wax (if you don’t have this, hurry). But Three Willow Park tops my top pick list! 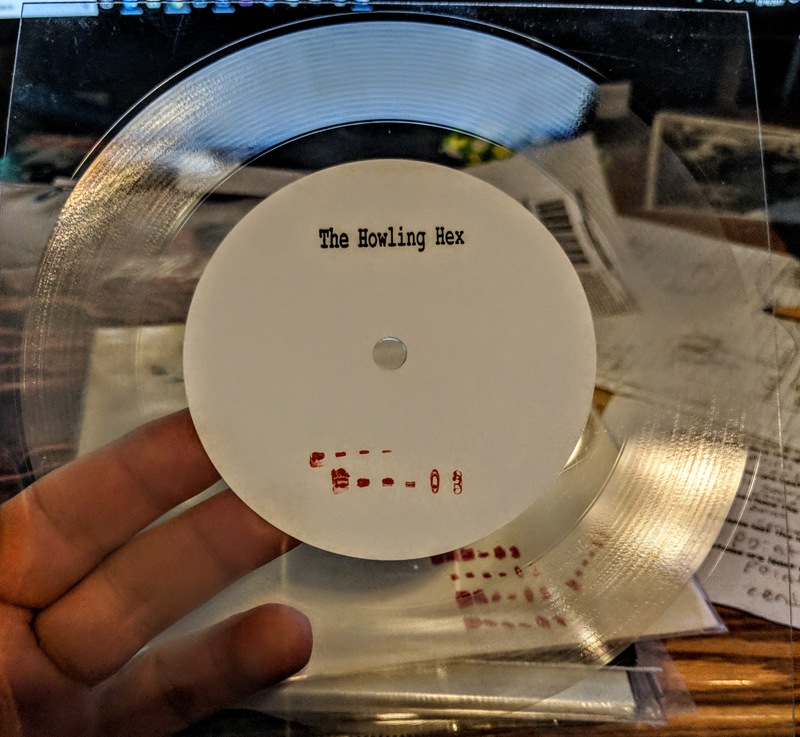 It has 61 unreleased gems across 3 slabs of wax. Each wax is in its own gatefold sleeve with tons of great photos and information. This release explores a very exciting and innovative time for pioneer Raymond Scott, and electronic music in general. He had already invented the machines for electronic music composition (long before Moog and Buchla) and was mastering his craft during this period—as others were just getting started. By this time he was self-employed and had full creative and innovative freedom to explore the future! This release includes works using the Electronium—the machine using “programmed intelligence”. Amazing stuff here. 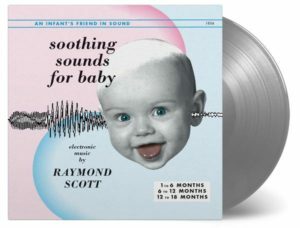 Raymond Scott’s “Soothing Sounds For Baby”. Basta. 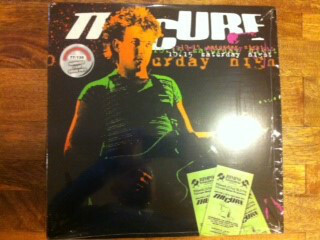 This is a re-release, remastered on heavy-weight colored wax, but another amazing electronic music gem. 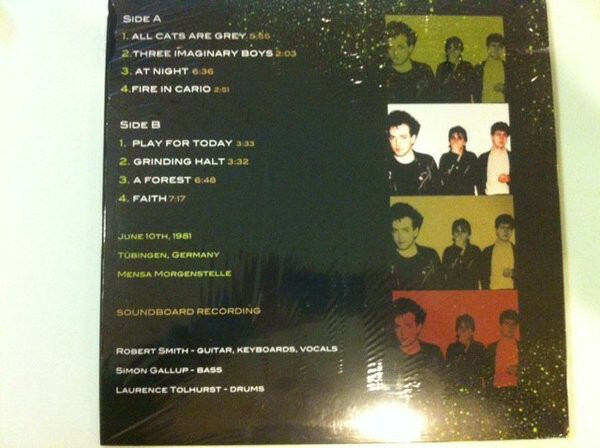 Raymond was a heavy influence on heroes, just to name a few, Froese, Eno, Fripp, Kraftwerk, Glass, Multicast… These records were intended to be played by the mother to the baby at three critical phases of life. 0-6 months, 6-12 months, and 12-18 months. If you change “months” to “decades”, they still work as intended! 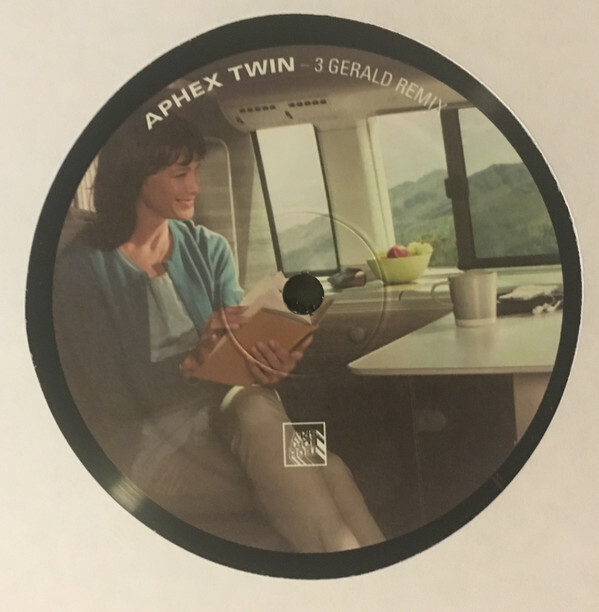 Aphex Twin’s “3 Gerald Remix / 24 TSIM 2”. Technical Equipment Supply. 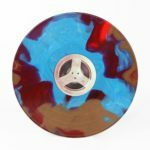 Vinyl is going through a renaissance, with LED lights inside of records, colored wax becoming an artform, animated records coming back into style, and new and crazy distribution tactics. Richard James is a man of ideas, and in 2017 he released two singles that are difficult for the collector. His new tactic is to have limited releases from small, independent record stores to help keep the passionate entrepreneurs thriving! 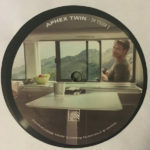 This release was only available from the small store in Ypsilanti, Michigan and cannot be sold mail-order. You either have to visit the store, or find an expensive one second hand. The tracks are good, making this release worth the effort! 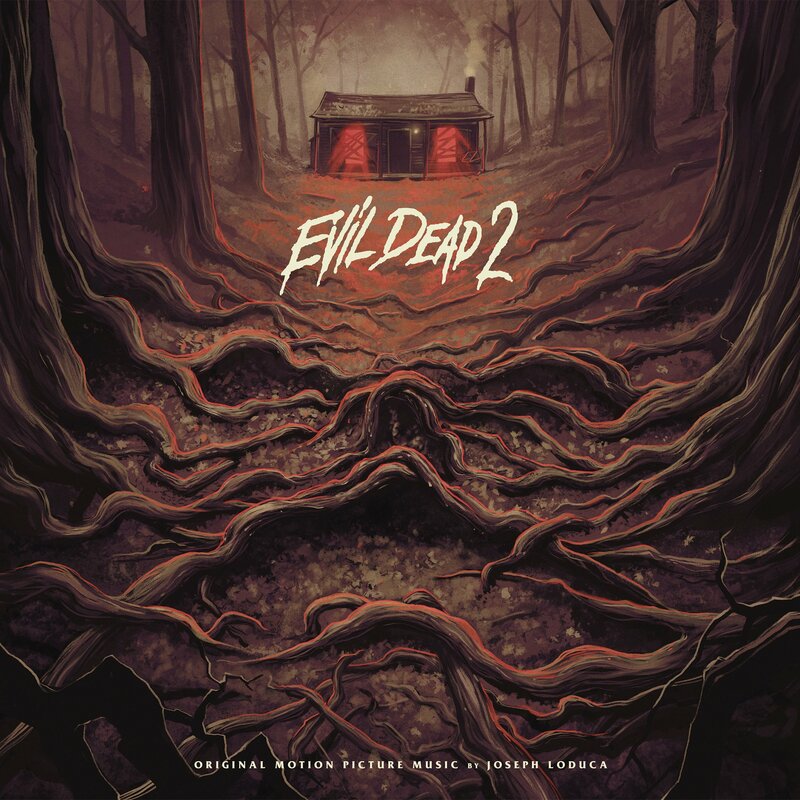 “Evil Dead 2 OST”. Waxwork Records. This movie started me down a one-way path. Thinking we were just going to see a slasher style movie on the silver screen, well, our minds were expanded, quickly! 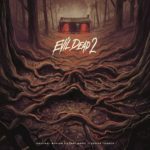 This movie likely has the entire dialog sampled in one industrial song or another, but the music was great too, even though you didn’t notice it. This is a wonderful package including some psychedelic colored vinyl. A trip down memory lane. 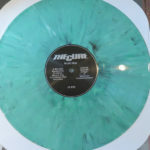 Guerilla Toss’s “G T Ultra”. DFA. “I’ve driving a car, but I’m not the owner”. 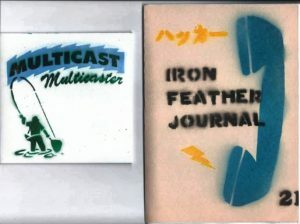 The other 1/2 of Multicast, Jeff, can relate! With an album cover featuring a sheet of acid, this was worth checking out. This NYC band reminds me of a cross between Chicks on Speed and The B-52s without Fred Schnider; with a funkier core. This was my soundtrack to my European journey this summer. This could be my top pick of the year, still a couple of tabs left on this release…saving them for friends. J Dubular’s “View from the Summit”. My buddy here in the hood has an amazing view from his porch, and we often just decompress gazing 50 miles down the front range onto Lookout Mountain. My buddy Jim is a reggae aficionado (see soundcloud’s ReggaeDispensory) so we constantly search out Dub for the porch. 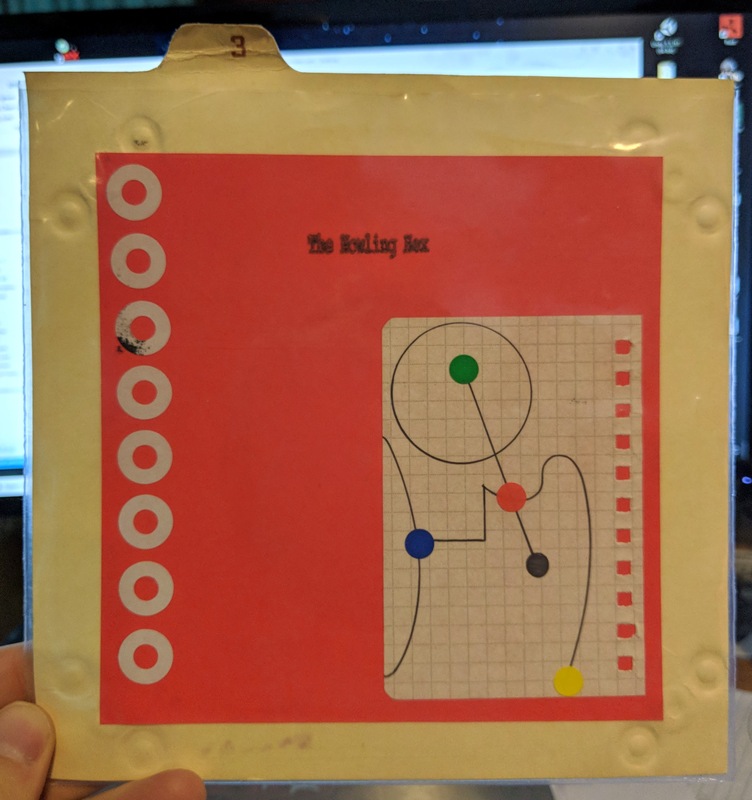 This was one of those records from Colorado band (Idaho Springs) J dubular. Warm breeze, sunset, porch, relaxation, stunning view soundtrack! 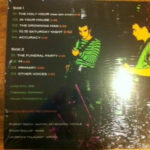 UHF’s “Strange days of Happiness” EP. Borg Recordings. 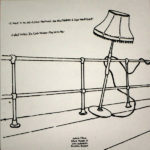 This hails from Spain on UK’s Borg Recordings label. 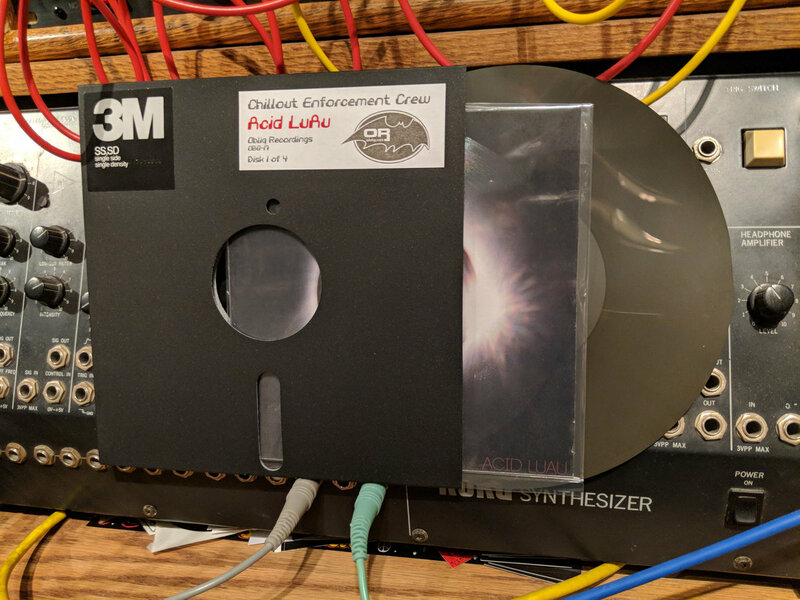 Those that know me know I love electro (not that house crap, real electro with its roots in the early 80s hip-hop culture), and this is a melodic foray into heavy bass. I can’t count the number of sunrises I’ve seen this year to this soundtrack. Perfect for the commute! 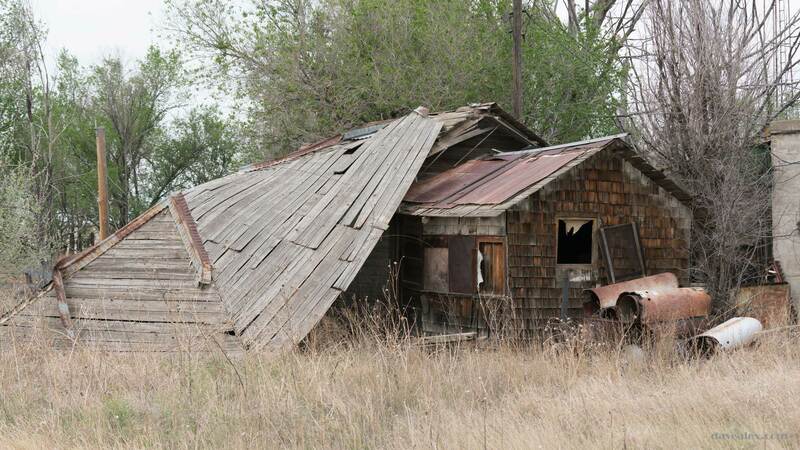 N-TER’s “Falling Apart” EP. Crobot Muzik. Another electro slasher, this time out of London. 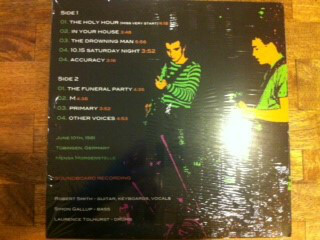 The label is amazing, found it on bandcamp this last year. Melodies on top of BASS breaks. This one is more for sunsets, or maybe just the deepest darkness of night as the sliver of crescent moon arises! Recondite’s “Theater II” EP. Dystopian. One of the top acts in techno, travelling the world from festival to festival. This is a stray from his typical Plastikman legato acid style, and a trip into deeper techno. I described it as “Intense Sci-fi soundtrack intertwined with deliberate driving beats. 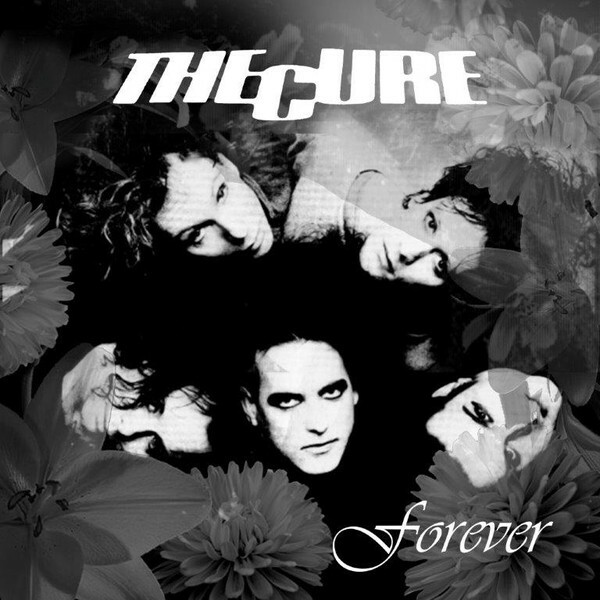 Excellent mood and production.” I will someday hear this on a large sound system, and that will make me very happy! 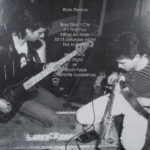 Ceephax Acid Crew’s “Acid Fourniture” & “Byron’s Ballads” EPs. Weme Records. Someone once said “This is not a mind trip, it is a body journey”. These EPs falls within that realm. 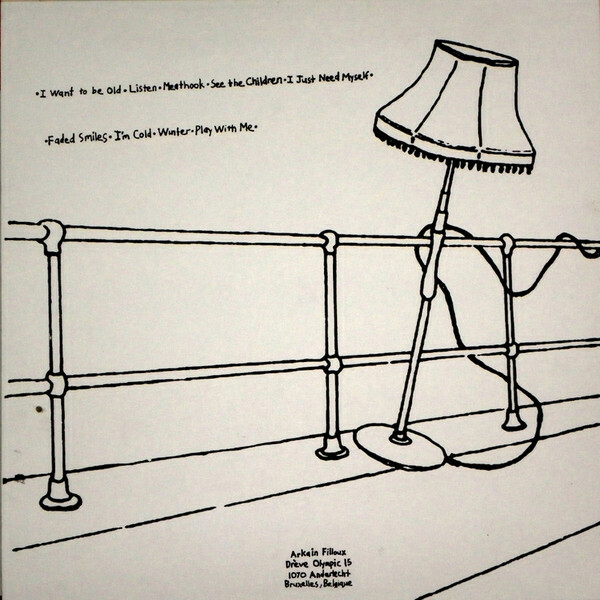 London’s Mr Ceephax released two Eps the same day this winter, and both are great! Worth checking out! 1NC1N’s “Praying Mantis” EP. Zodiak Commune Records. Another latecomer to 2017, this is a rock solid acidic dancefloor EP. High quality production, both in the sound and the vibe, demonstrating that Acid music is still on a plateau overlooking the vast spaces of other dance music. Had to mention this amazing album has been re-issued on heavy-weight vinyl and remastered. 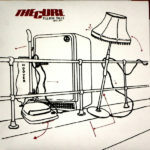 The band’s 2nd record was released in early 1980 and has stood the test of time. 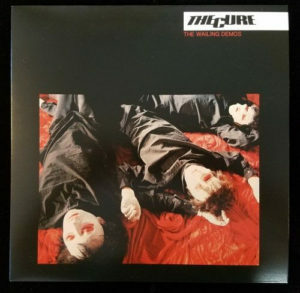 This was before they ditched half of the band for two female vocalists and a contract with the devil; back when they were pushing the experimental boundaries of early synth-pop! A classic! 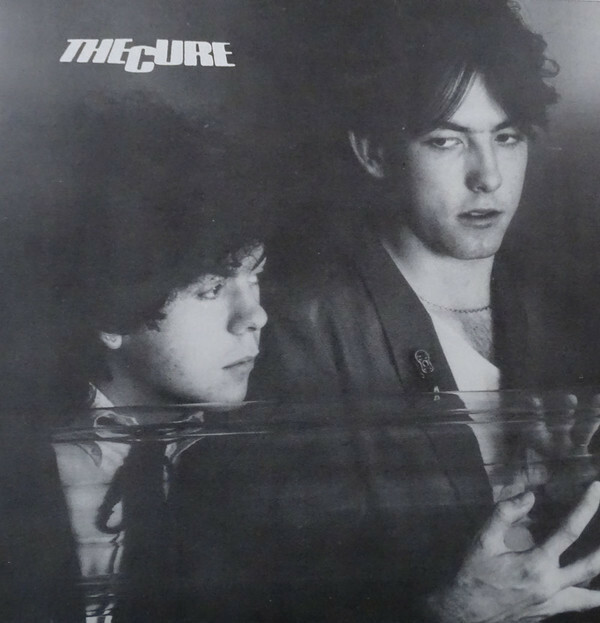 The Cure. Period. 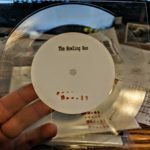 This year has been an amazing year for demos and live sets being released (or re-released) on vinyl. 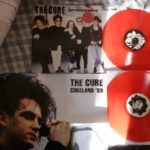 What’s up with Discogs not allowing “Fan Club Vinyl” to be sold anymore? Does every cool website have to sell out to the MPAA and RIAA still, in this day and age? 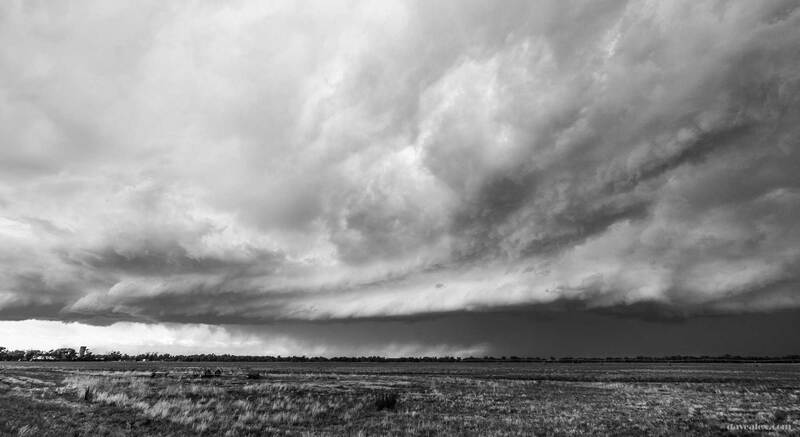 Well, there is still a distribution channel or two, once again it heads underground! 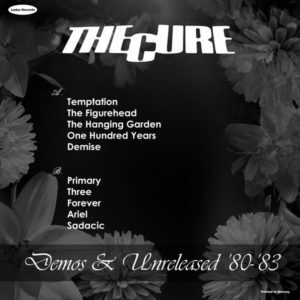 Demos and Unreleased material from 1980-1983. Killer! 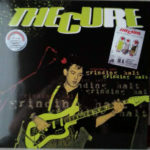 The Cure – The Wailing Demos. 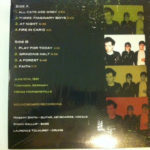 More demos from their golden era. Killer! 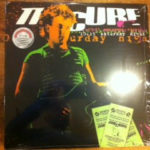 The Cure – Grinding Halt & 10:15 Saturday Night. 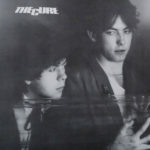 Live show from 10 June 1981, Mensa Morgenstelle, Tübingen, Germany. 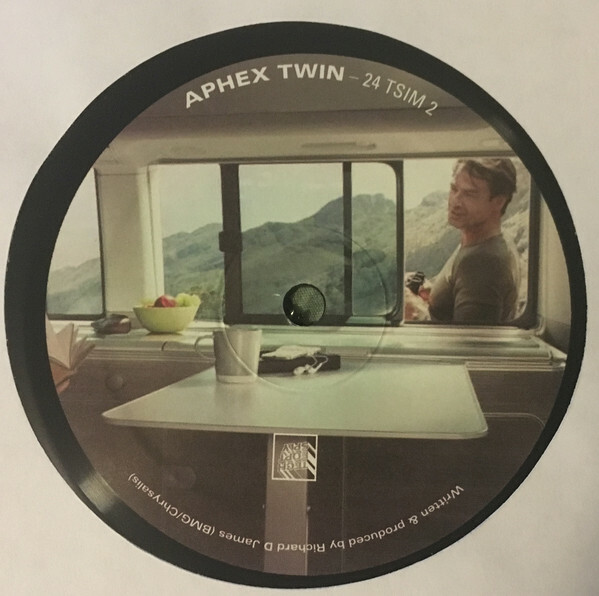 Two vinyl set released separately. Man what a great set! Raw! Soundboard! Picked this up in Belfast. 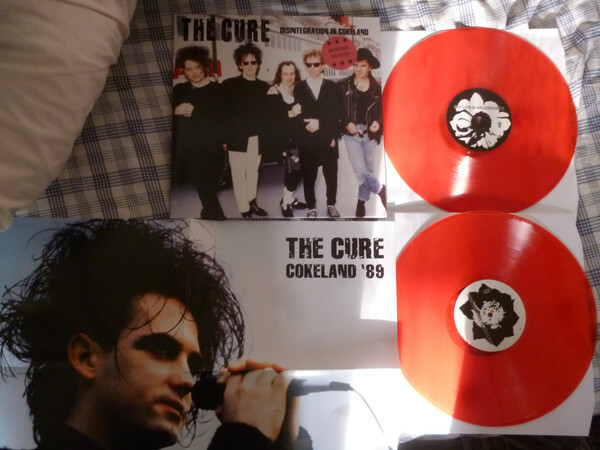 The Cure – Disintegration in Cokeland. Another pickup from Belfast. This is the pink vinyl version. 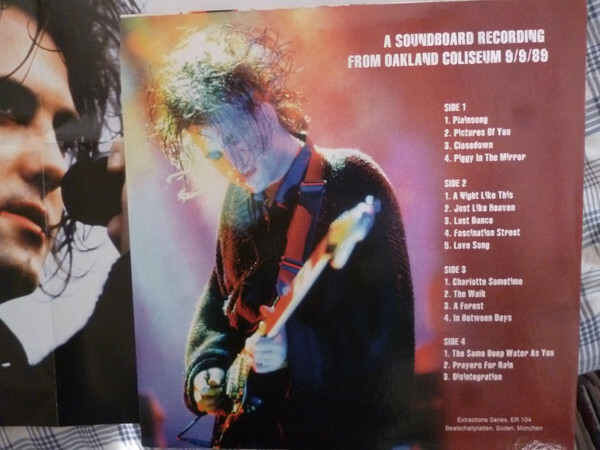 Soundboard from their second golden period 9/9/89 in Oakland’s Coliseum. The Cure – World War. These are some rare demos across their first couple of years. Great stuff! 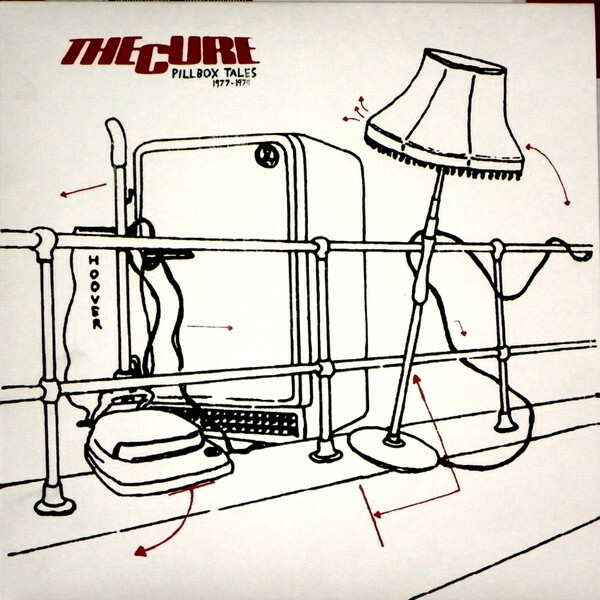 The Cure – Pillbox Tales. This is really early stuff, from when they were “Easy Cure”. This is more rock oriented before Robert came into his own. But still worth hearing where they came from. That said, glad they went down a one-way road!